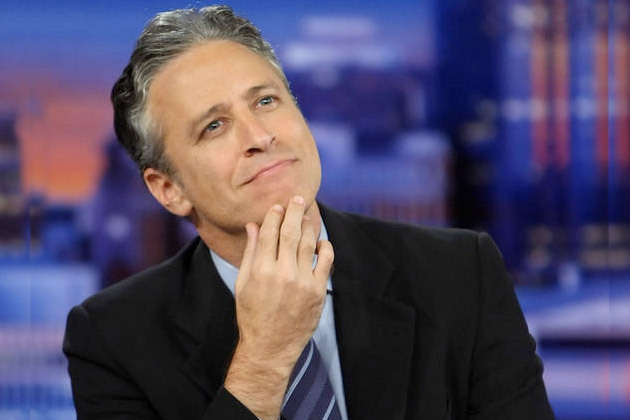 Much to our great sadness, Jon Stewart has decided to leave the Daily Show. After sixteen years at the helm (hard to imagine anyone else besides Stewart there, but Craig Kilborn was its first host from 96-98 (what happened to that guy? )), Steward has become not just one of the most trusted voices in satire, but cable news. I can tell you that the Daily Show is one of the big reasons why I became interested in journalism. Stewart not only got me interested in the news, he taught me how to watch it. Not to sound like a hipster, but I grew up watching the Daily Show during its Golden Era. I’d contend that the Daily Show was at its best during the post-9/11 and Iraq War years, roughly 2001-05. Firstly, it provided direly needed media criticism at a time when everyone was marching to the beat of Bush’s war drum. Watching Stewart skewer the jingoistic talking heads of cable news made you feel like you weren’t going crazy, that there was someone else equally as perplexed and outraged as you. Secondly, during these years, the Daily Show had its strongest roster of correspondents: Stephen Colbert, Steve Carell, Ed Helms, Rob Corddry, and Samantha Bee. There have been other bright lights since (John Oliver, Larry Wilmore, Jessica Williams), but there were no weak spots in this line-up. The Daily Show took off under Stewart because he effectively combined the best aspects of two mediums: cable news and late night talk show. The byproduct of this was that Stewart was able to tear down the phony veil of objectivity that other news anchors dangled in front of their audience. Stewart got to the core: That this is all really just a big joke. Yet, Stewart never fell into the abyss of cynicism. He is truly Nietzsche’s ubermensch. This is humour’s gift. It gives you the best vantage point. And I mean true comedy. Not mean-spirited, overly sarcastic snark. In that way, Stewart was America’s greatest media critic. In an era when America’s cable news careened off the track and careened into self-satirizing info-tainment, Stewart brought it back to reality. Stewart, however, was criticized for not living up to the journalistic standards he imposed on others. The obvious response to this is that Stewart is a comedian, not a journalist. Also, there was a lot of criticism that he was too easy on certain guests. It is important to point out, too, that these criticisms came from fans and people sympathetic to the Daily Show. I’ve never put much stock in all that. Stewart never postured as a real journalist and it’s unfair to impose demands on a work that never claimed such goals. As much as comedy and satire can inform, it’s not obliged to; in the end, it’s only goal is laughs. Moreover, I think these criticisms come from a desire to see Stewart do actual journalism. There’s even a number of people who’d like to see him run for office. I hope he sticks to comedy. Honestly, he’s never really succeeded in anything outside of the Daily Show. It’d be interesting to see if he can do something else equally masterful. ~ by braddunne on February 17, 2015.